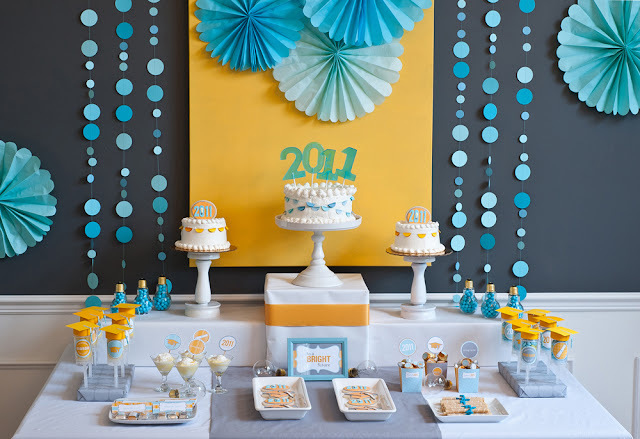 Frog Prince Paperie created a new line of graduation printables for their shop and set up this amazing dessert table to show them off. 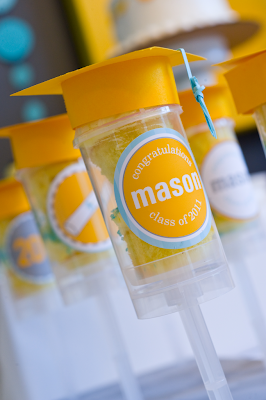 I am in love with the cupcake push pops that have been topped with mortarboards. Aren't those fun! I think a smaller version would be fun on a glass drink bottle as well! 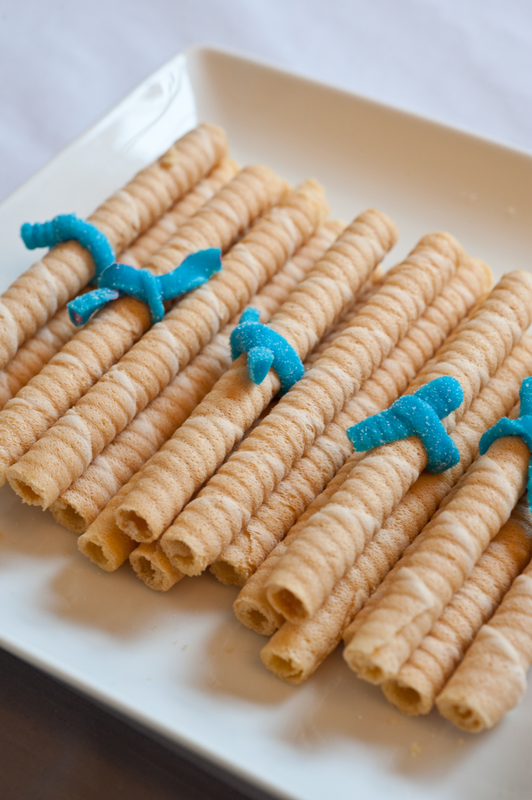 And the cookies that are made to look like diplomas...so easy and cute and yummy! You can check out the printables and the rest of the spread HERE. Thanks for posting these! They just gave me some ideas!